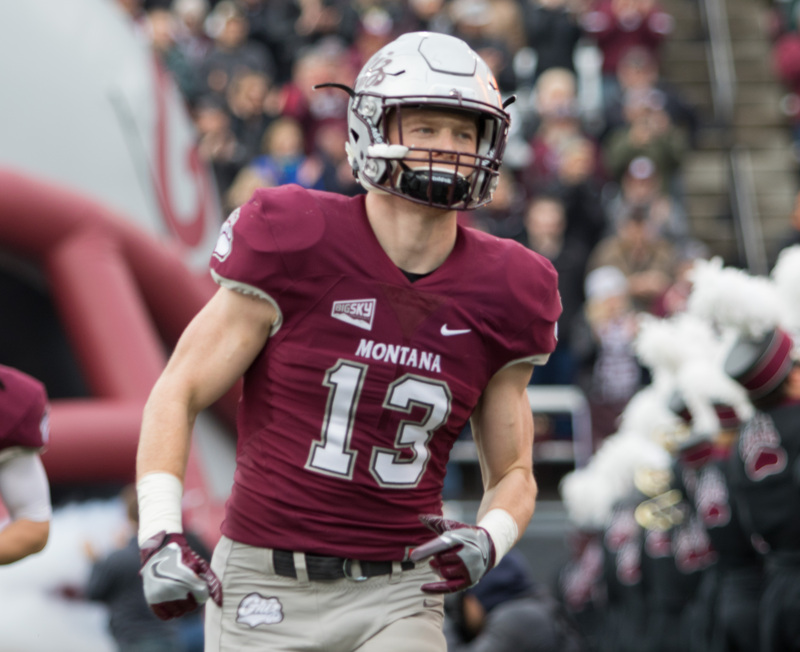 KALISPELL — The Montana Grizzlies capped spring football Saturday with an encouraging display on a grey, rainy afternoon at Legends Stadium in Kalispell. 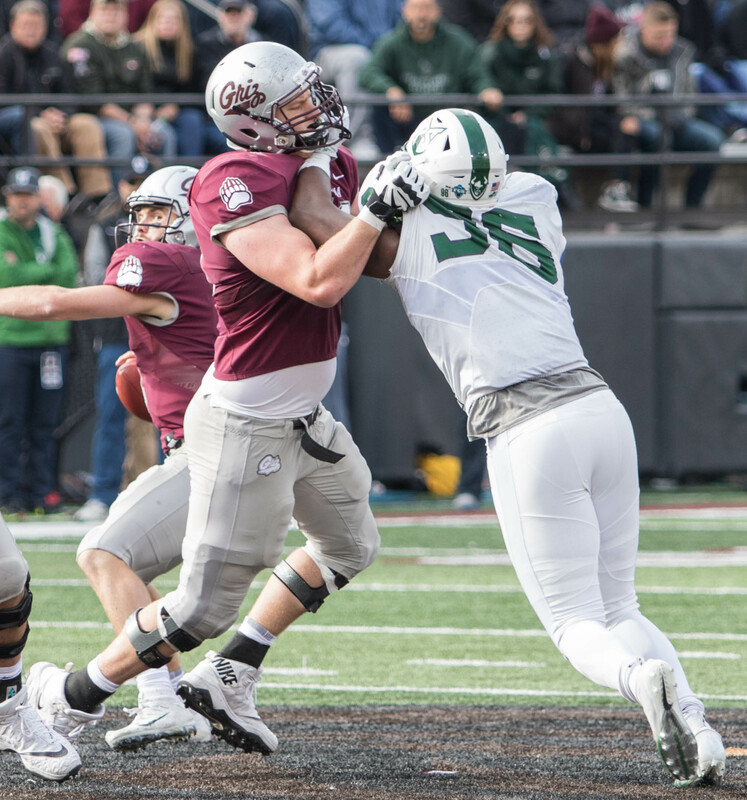 The overcast skies didn’t dampen the enthusiasm of the crowd that came out to see the Grizzlies, who held their spring game in Kalispell for the first time since 2006. Several Flathead natives showed out in front of the home crowd, including Bigfork’s Josh Sandry, a senior safety who ended the second possession with an interception followed by a long return that set up a touchdown. Kalispell’s Patrick O’Connell rolled up six six tackles. Kalispell’s Brandon Purdy making all four of his extra points on the field he kicked on at Glacier High School. Established stars and new faces alike made plays as the offense moved the ball more effectively than it had in either of the spring’s previous two scrimmages. Starting senior quarterback Dalton Sneed, as he did in the previous scrimmage, called it a day early on, operating just one series and needing five plays to get the offense on the board to start the day. He hit on three of his first four passes before finding junior Sammy Akem wide open on the left side of the field for a 36-yard touchdown. Redshirt freshman Garrett Graves was next under center. The Eureka product’s attempted throw-away on third down was right to Sandry, who returned the gift eight yards from the end-zone. From there, Akem put his stamp on the game again, reaching over two defenders in the front right corner of the end zone on third down for a 9-yard touchdown reception on a throw from junior Cam Humphrey. 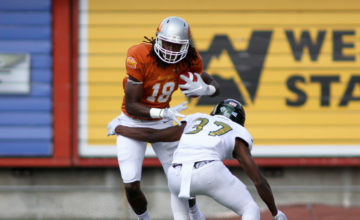 Humphrey, who backed up Sneed last year, mostly traded off with Graves for the rest of the day, with both potential backups getting plenty of reps.
Humphrey, who made stops at Boise State and Saddleback Community College before landing at Montana last fall, finished 13-for-26 for 95 yards and the touchdown to Akem. He also also ran twice for 13 yards. He led the offense to three touchdowns and a field goal on eight drives. Graves, who could also be in the mix for snaps at running back or on defense, struggled, going 6-for-15 for nine yards and the interception. The run game, an issue for most of the season last year, also looked improved. 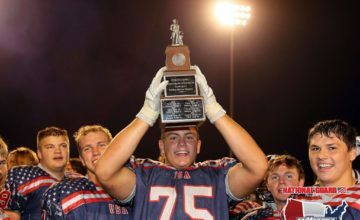 Returning starter Adam Eastwood, a third-year sophomore who spent a season at San Diego State, and junior college transfer Marcus Knight both picked up chunks of yardage behind an offensive line that held up better than a unit that struggled mightily last season. 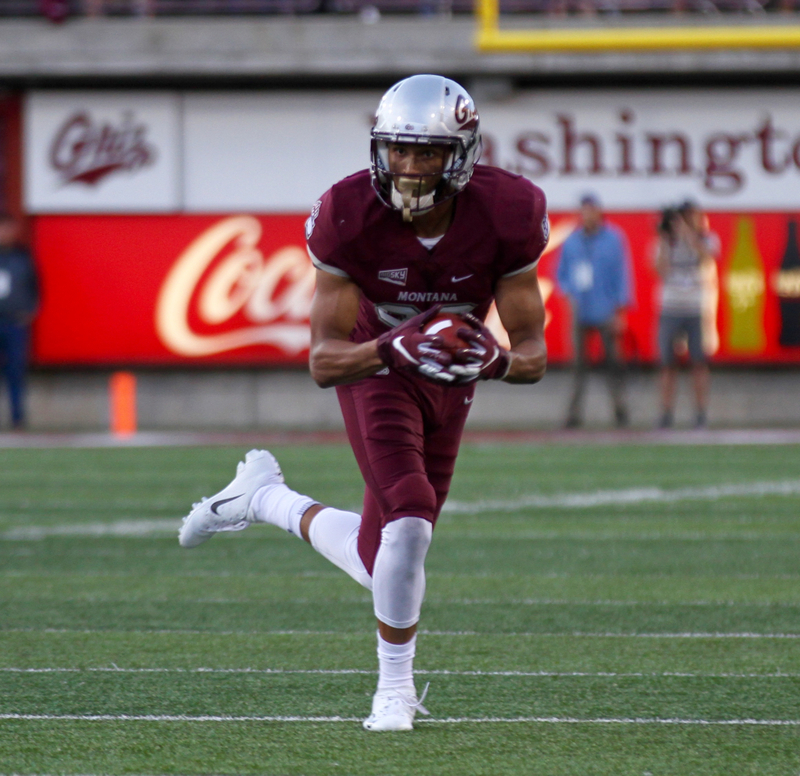 The Griz ran 38 times for 128 yards, an average of just 3.4 yards per carry, but that included negative yards on sacks and didn’t include any carries by Sneed, perhaps Montana’s biggest threat last season. Sneed rushed for 675 yards and six touchdowns last season. Eastwood finished with 12 carries for 37 yards and a score, a 2-yard plunge that was set up by a 39-yard burst by Knight, who finished with six carries for 56 yards and looked dangerous in open space. The transfer from Citrus College in California also had a touchdown of his own, a 6-yard score that capped an 18-play, 75-yard drive by the offense in the third quarter, the only score of the frame. Nominal fourth-string quarterback Wheeler Harris provided some fireworks late, making the most of his two drives. 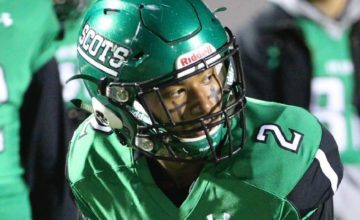 On the first, he laid a perfect slant into a sprinting Samori Toure, who outran everyone for a 64-yard touchdown. One drive later, after the defense forced its second turnover of the day on a Ryan Arntson fumble, Harris threw a jump ball up to Malik Flowers, who came down with a 37-yard reception at the 1-yard line. That set up an easy score for another hometown hero, Kalispell Glacier product Drew Turner, and essentially ended the scrimmage. On defense, Jace Schneider and Gavin Crow led with eight tackles apiece. Crow added a pass breakup. Dareon Nash broke up three passes in addition to his four tackles. Harris, a former walk-on at Alabama who transferred to Montana before last season, finished 3-for-3 for 106 yards and a touchdown. Toure led all receivers with five catches for 99 yards and a score. Flowers had four grabs for 54 yards. 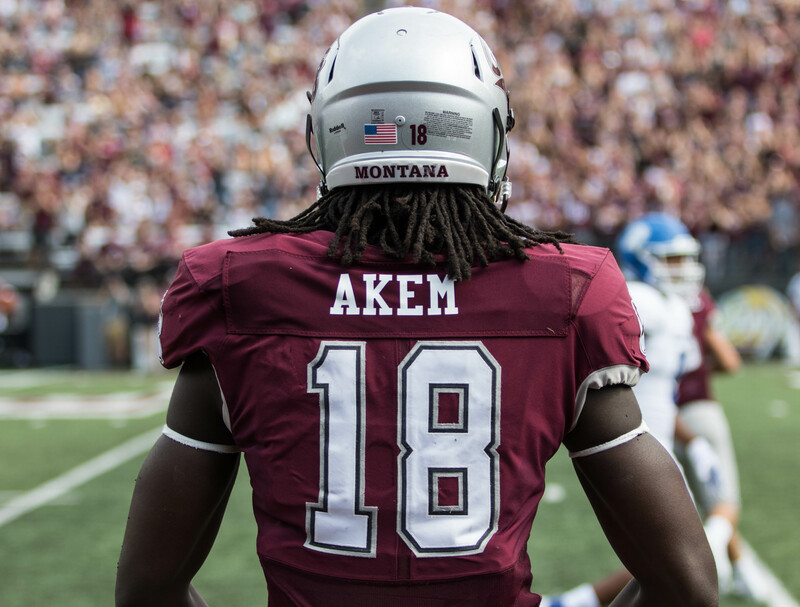 Akem’s two touchdowns were his only two catches, good for 43 yards. “I think we proved that, if you give us a chance, we’re going to make the plays,” Akem said about the wide receivers. The seriousness of the game as an evaluation didn’t detract from the carnival atmosphere. Halftime entertainment included linemen catching punts — the highlight being 285-pound Eli Alford going way back and reaching over his head to corral a boomer from Adam Wilson — and children from the crowd racing against Sneed, Gabe Sulser and Jerry Louie-McGee, three of the fastest players on the team. After the game, offensive lineman Cy Sirmon proposed to his girlfriend. She said yes, setting off a raucous cheer among the offensive linemen and bringing the day to a celebratory close. The Griz will not practice again this spring. Player-led workouts in the summer will be the next step, before the whole team convenes for fall camp in August. 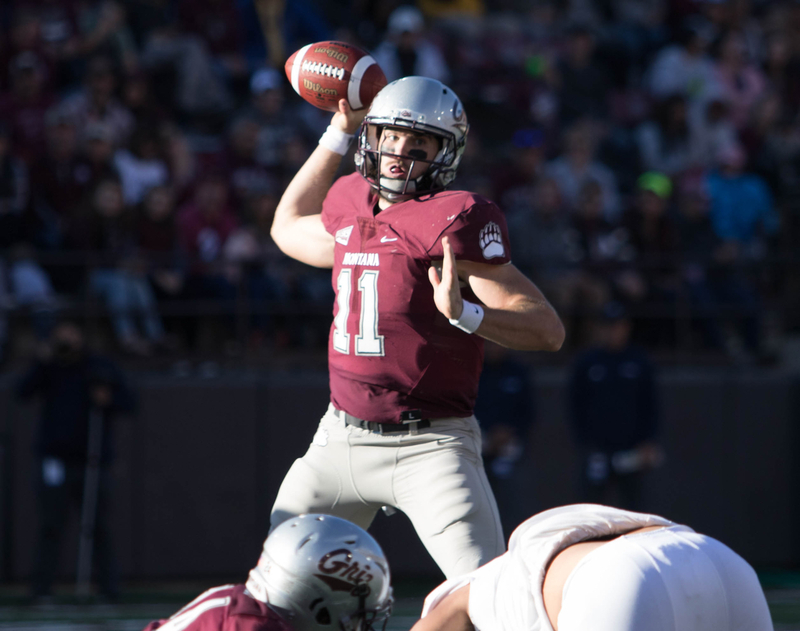 The Griz open their 2019 season in Vermillion, South Dakota against the South Dakota Coyotes on August 31.